Groupama-FDJ has confirmed the signing of Stefan Küng. The Swiss rider has inked a two-year contract with the French team. 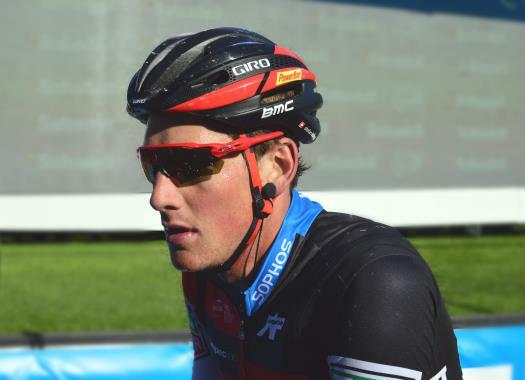 Küng was part of BMC Racing Team for four seasons and will spend at least the next two seasons in the French team. The rider is set to strengthen the team in Classics and in Grand Tour. "I look forward to joining Groupama-FDJ," commented Küng. "I always kept an eye on the results of the team, especially through the eyes of my compatriots Sebastien Reichenbach and Steve Morabito. And as soon as we talked with Marc Madiot, we immediately understood each other. "This team offers me the structure for an optimal personal development. Groupama-FDJ has seen my potential and offers me a role to match my ambitions. Around leaders like Arnaud Démare and Thibaut Pinot, my rider profile will be a plus. The 24-year-old has in his palmares two Swiss Time Trial titles and a win in the 2014 Tour de Normandie, as well as stage victories in races like the Tour de Romandie, the Tour de Suisse and the BinckBank Tour. "I will be able to bring my experience on team time trials for example, especially on the Grand Tours with Thibaut," the Swiss rider explained. "And then on the Classics of the beginning of the season, we will be perfectly complementary with Arnaud, which will allow us to adopt a much more offensive tactic in the race."